National Best Friend Day is June 8. 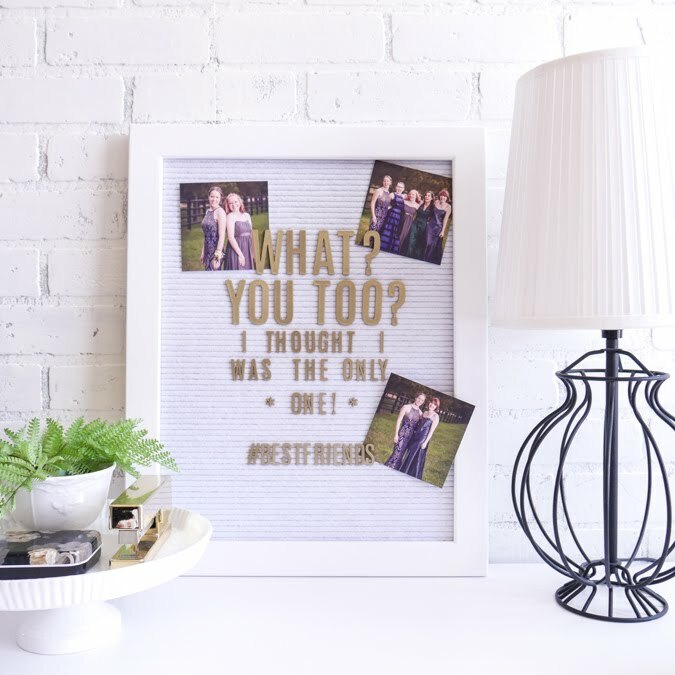 Celebrate a meaningful and wonderful day with Heidi Swapp Letterboard. What a great day to celebrate. And what a great way to celebrate. Placing words up bold and beautiful on this front and center Letterboard is just one way I can communicate the important to my people here at home. 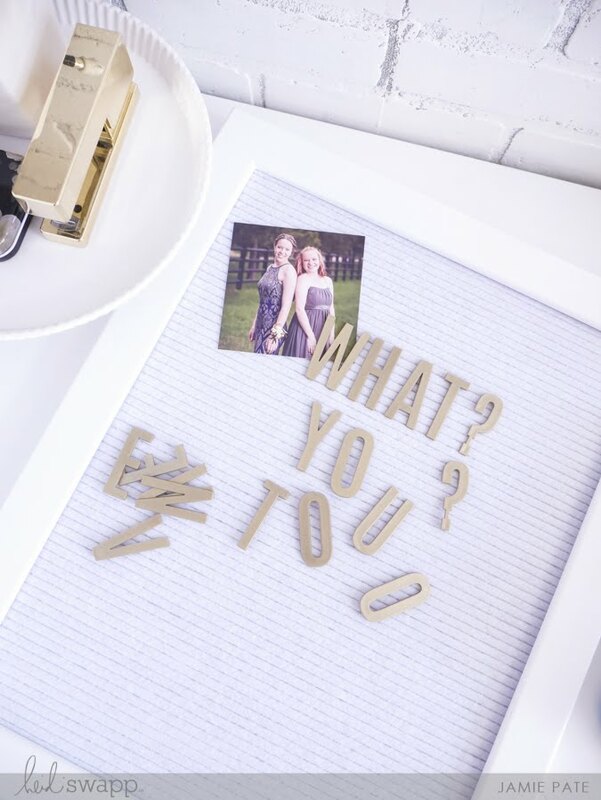 To make this day a deal I, of course, used the Heidi Swapp Letterboard. This one in the above photo is the large sized board. The next thing I chose were the 2-inch Gold Sans Serif Letters. Since I was using my daughter's recent prom photos I liked how the gold complimented. More on that in a moment. 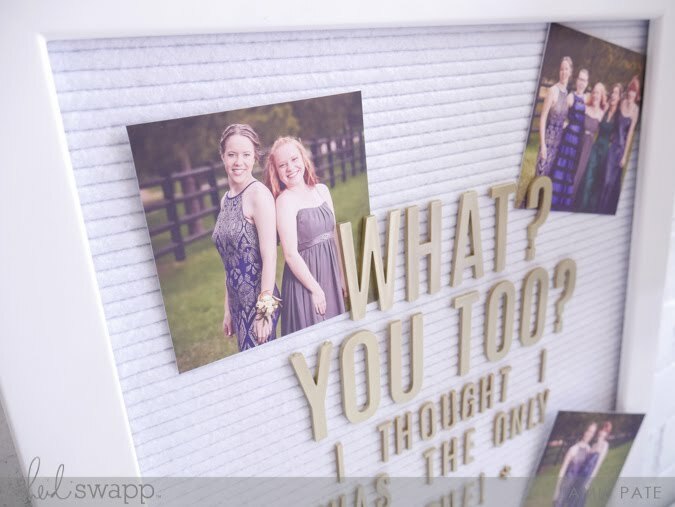 My idea for this styled center piece in our front room was to use my daughter's photos from prom. She attended this year's event with her dear friends. We were able to capture some precious photos of these young women and this gorgeous event. 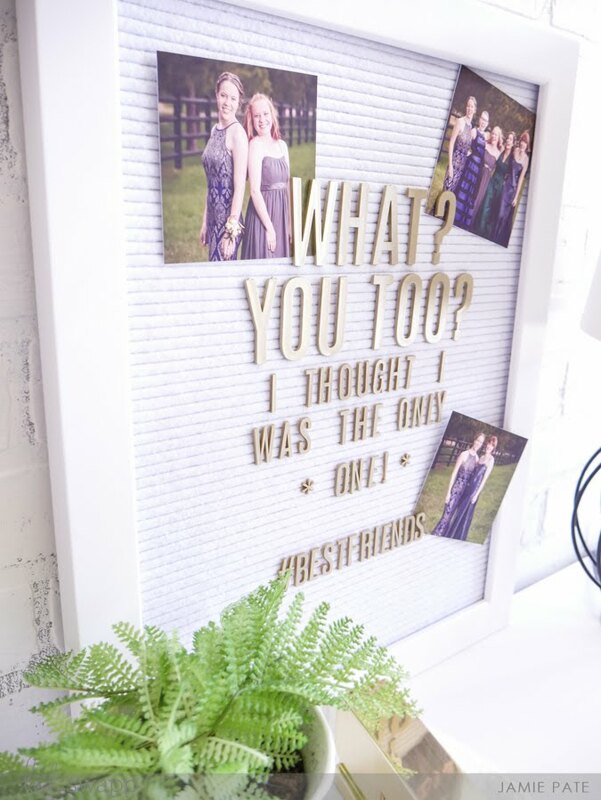 I wanted to just be able to place some recently printed photos right in the Letterboard letters. I love how this all fits together. I love these girls in my daughter's life. I love she can call them best friends. It just doesn't take much at all to create a bit of a celebratory statement when using the Letterboard. This framed space for words truly is a favorite in my home. 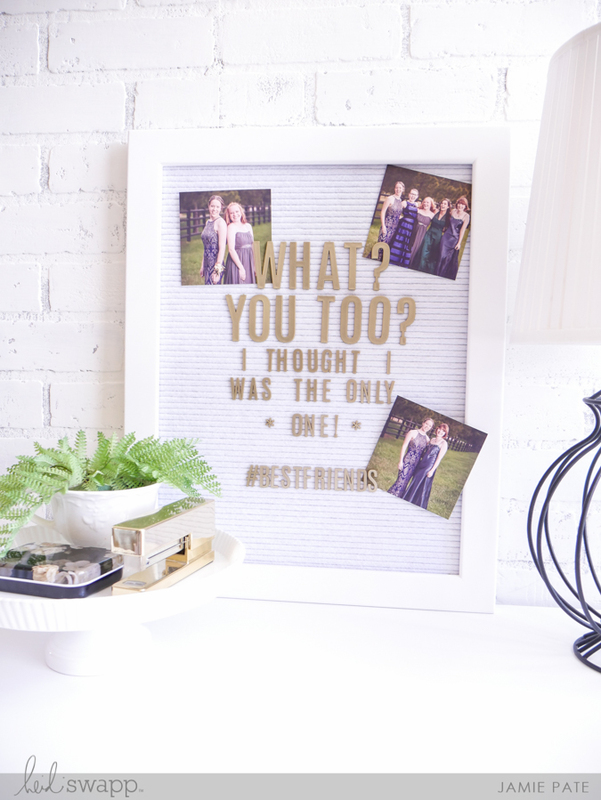 Celebrate Best Friend Day, or any day, with the right words placed out in the open. Remember special moments. Say important things. Use your home and space as a celebration for all the days.